The perfect all-purpose dumpster size. Boards under the dumpster protect your property. Our 15-yard container is one of our most popular dumpster sizes. This heavy-duty container is no stranger to both commercial and residential job sites. It’s great for jobs of all sizes including do-it-yourself home junk removal. If you’re in need of a 30-yard dumpster, we also offer a flat rate combo deal for two 15-yard dumpsters that can be delivered separately. 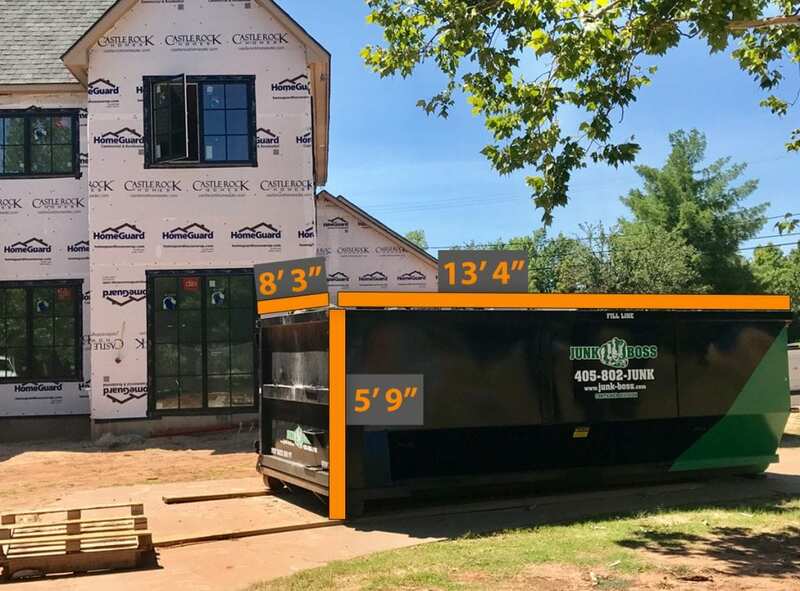 The 15-yard container gives contractors and the do-it-yourself-types tons of flexibility during mid-sized projects. It can contain the equivalent of 7-8 truck beds of junk and debris. This size container is perfect for hauling large debris during full garage cleanouts, kitchen remodels and even small home additions. This 15-yard dumpster was designed similarly to the 10-yard container. It’s the same length and width as it’s little brother, but has added height to hold more junk! 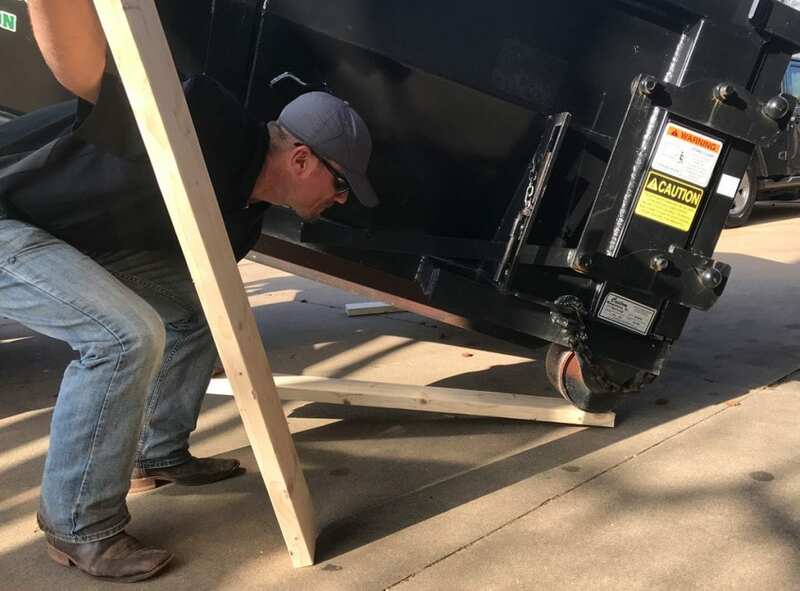 This makes it easier to fit the 15-yard container into tight spaces. Our containers feature a gate on one end that can be opened to walk or wheel junk right into it. It’s still short enough so that junk can be easily thrown over the top and into the bin. We treat our customers like our neighbors. We offer the best customer service in Oklahoma City with same-day or next-day delivery. You can simply text us for dumpster drop-offs and pick-ups. We will even send you pictures of where we placed the dumpster to make sure it’s right where you want it! Most importantly, we keep our dumpsters sparkling clean to brighten up your job site. Give Junk Boss a call today!